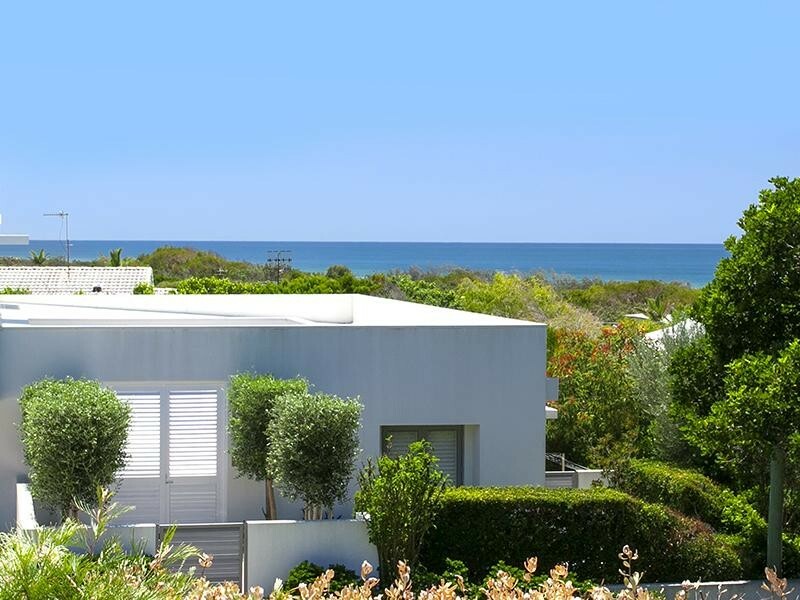 This Tim Ditchfield designed home had renovations completed in 2010 and offers a modern and refined take on the quintessential beach house. 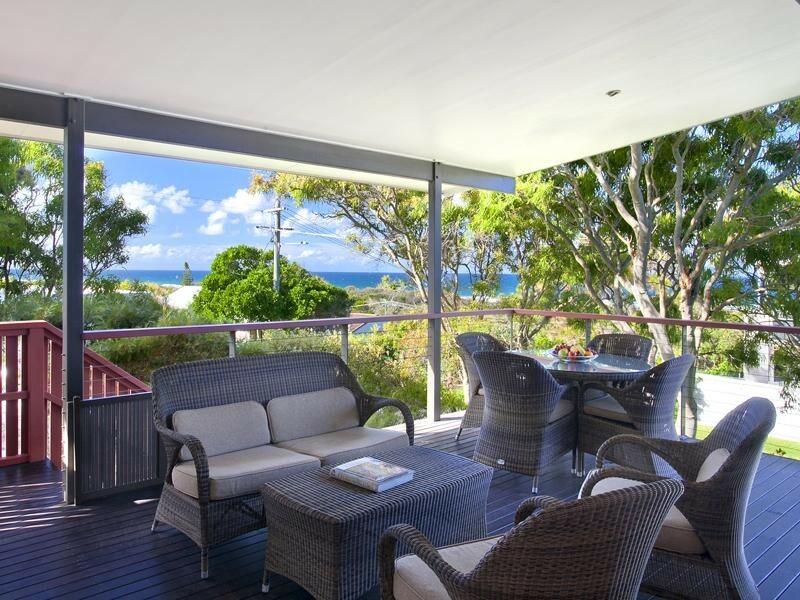 Perched in an elevated position with glorious ocean views is this much admired contemporary Marcus Beach home that features a wonderful blend of elegant living with beach-side chic. 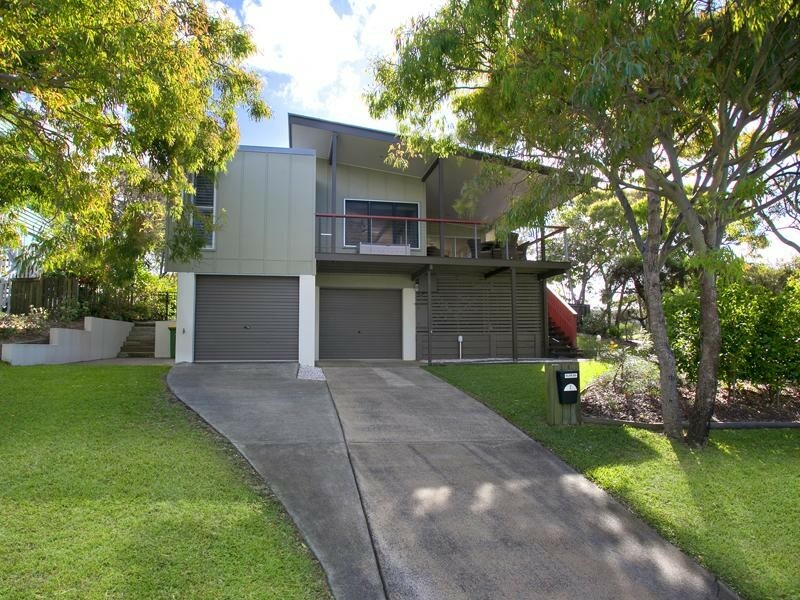 Complete with three bedrooms, study, two bathrooms upstairs, additional bathroom downstairs, light and airy open plan living, gorgeous designer kitchen, covered north-east facing alfresco deck with ocean views, open sun deck, double lock-up garage with storage space and workshop area, on a well established 650m2 easy care block, just 200 metres from Marcus Beach. 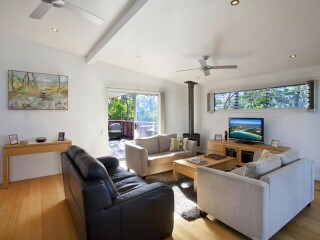 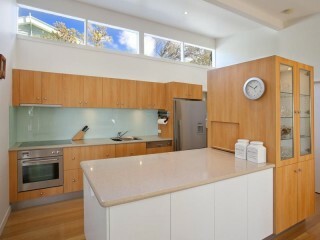 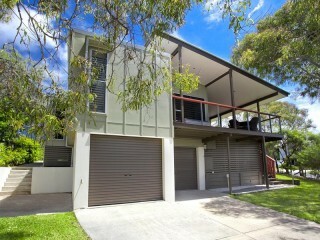 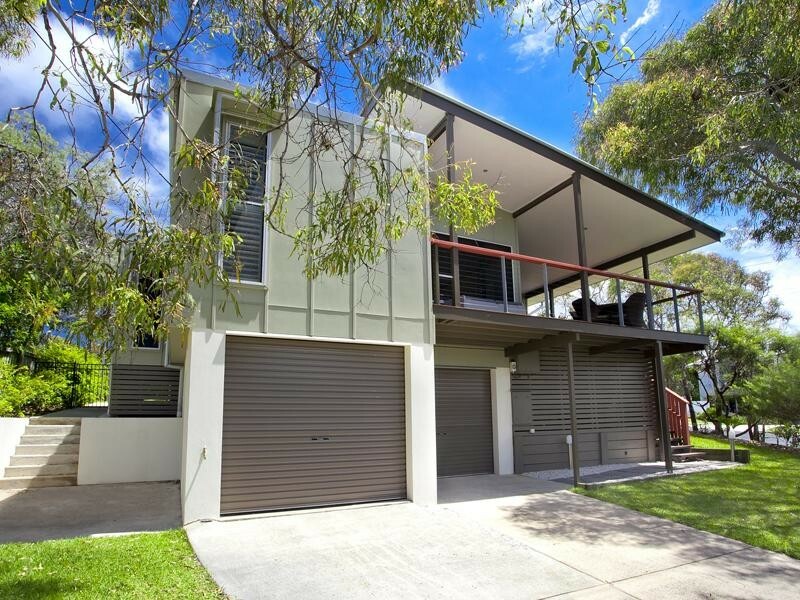 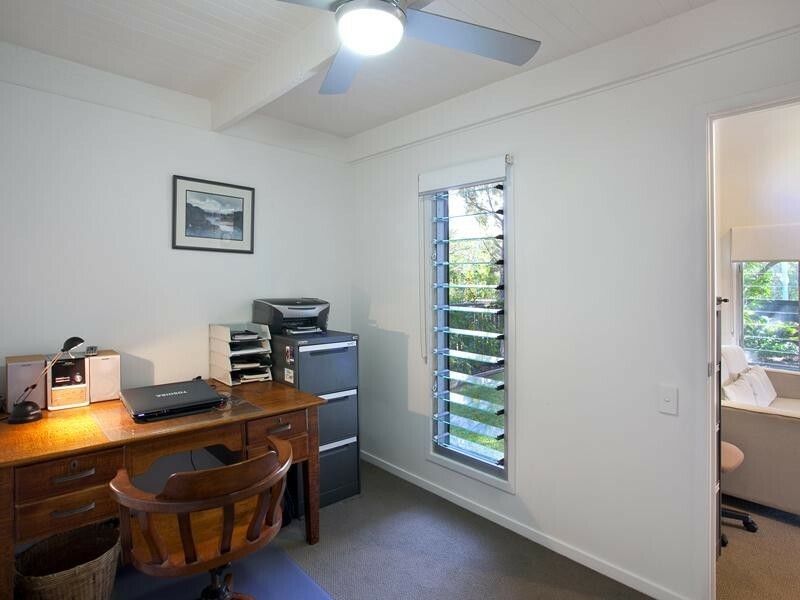 | Stylish home 200 metres to beach... open and airy beach-side lifestyle awaits. 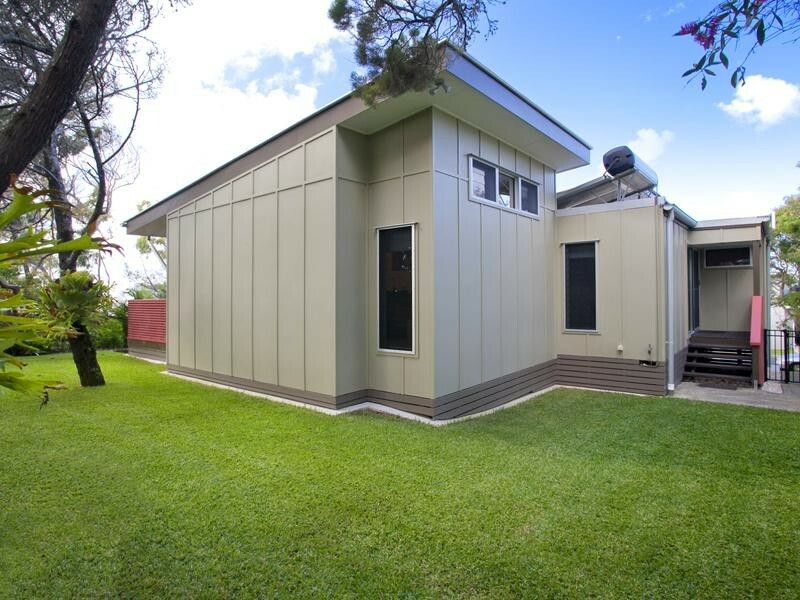 | Double insulation, Crimsafe screens, eco friendly solar panels help run the home. 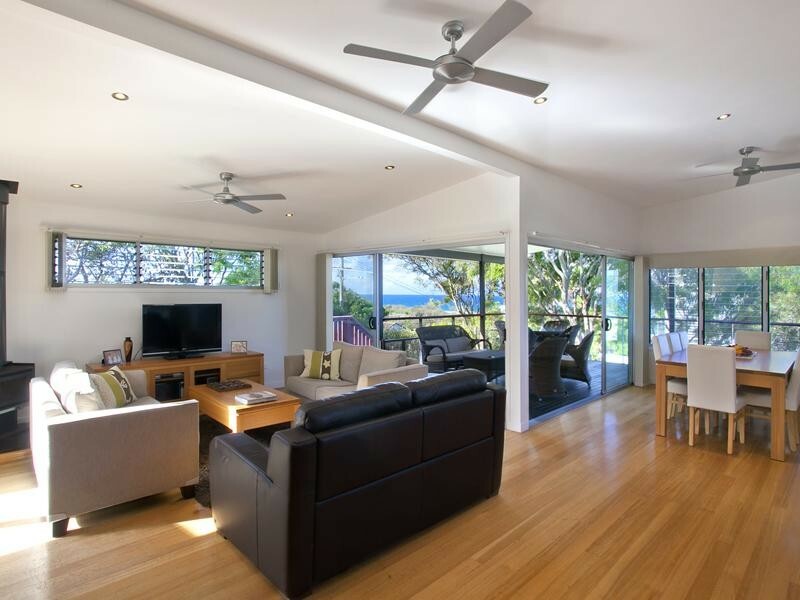 | A well designed, and flexible floor plan promotes great separation of living as well as facilitating options to adapt different rooms for multiple purposes. 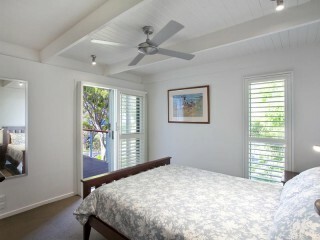 | The master bedroom complete with walk-in robe, en-suite and direct access to the verandah is at the front of the home. 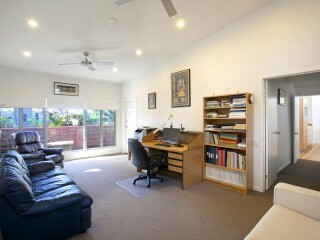 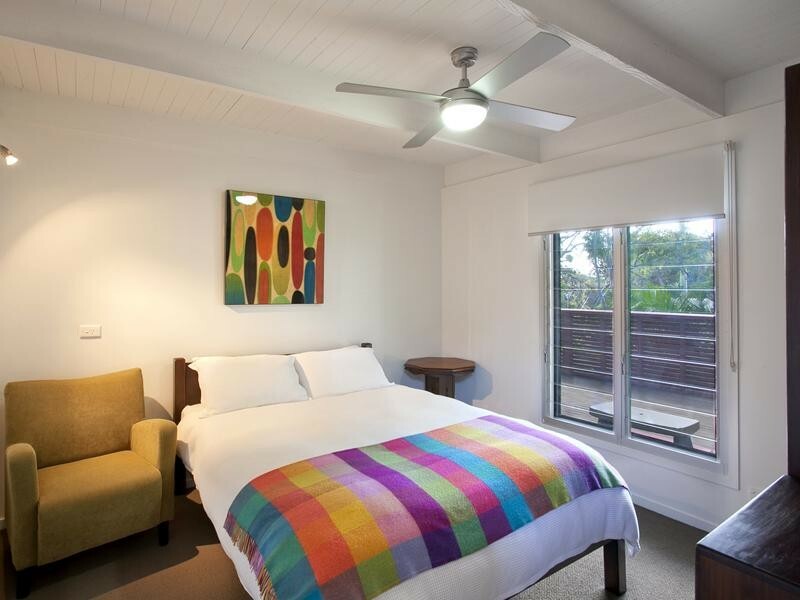 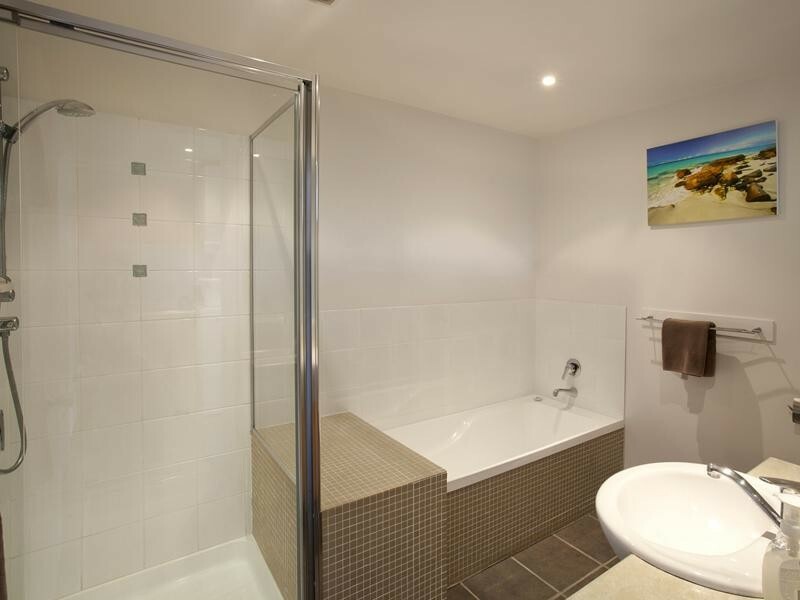 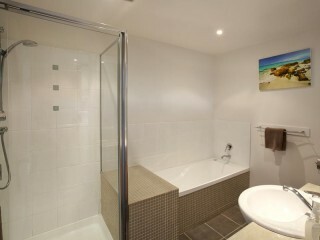 | Whilst the other two bedrooms and study are located at the rear. The very rear bedroom is large and could be used as a rumpus room, or even divided in half to retain a third bedroom, but add an additional living space. With a prized north-east aspect along with ceiling fans, fireplace and solar panels, this is a very eco-friendly home in harmony with its environment. 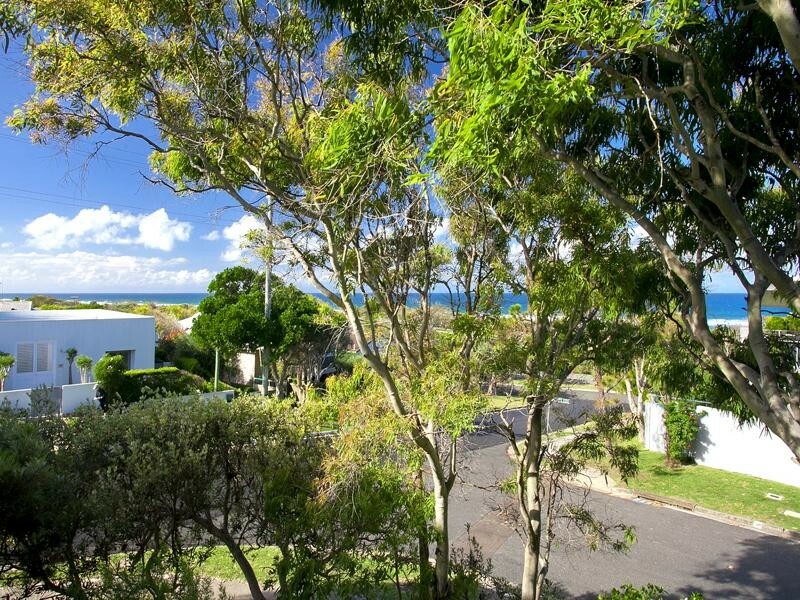 In a highly sought after street east of the David Low Way and just footsteps to spectacular dog-friendly Marcus Beach, it is a truly classy home that presents immaculately in one of the Coast's most desirable locations. 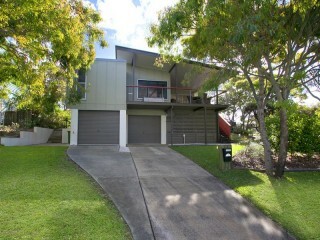 Act fast as this property will not be on the market for long.